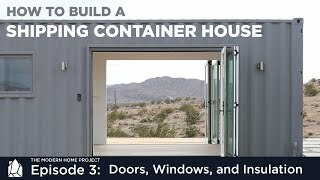 The Modern Home Project shows how to build small affordable modern designs one house at a time. 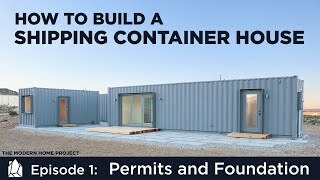 We will begin buy showing how to build a house out of shipping containers. 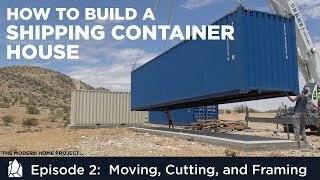 We built this shipping container house in Joshua tree California and documented the entire process from buying land, getting building permits, selecting materials, building, hooking up utilities, and furnishing the finished home. This project is a mix of do-it-yourself and hiring professionals to do critical tasks that require specialty equipment or specific expertise. These videos contain products and materials from sponsors and should be considered as branded content with integrated advertisement. The Home Depot sponsored parts of this project and has an ongoing business relationship with Ben Uyeda and HomeMade Modern. Disclaimer: These videos are intended for entertainment and inspiration only. Construction and making stuff is dangerous. Always seek professional advice and training before using any power tools.